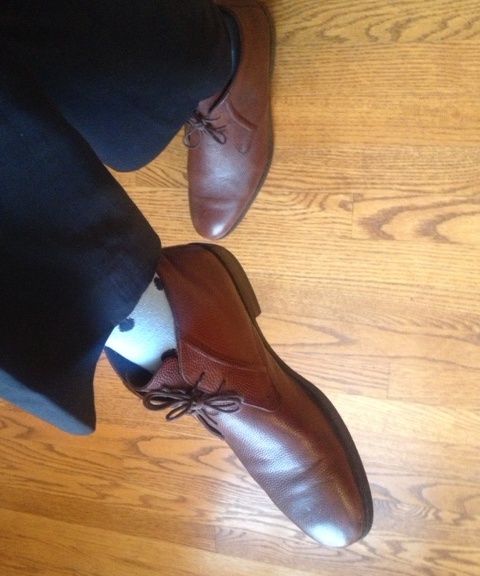 Brown chukka boots by Banana Republic. 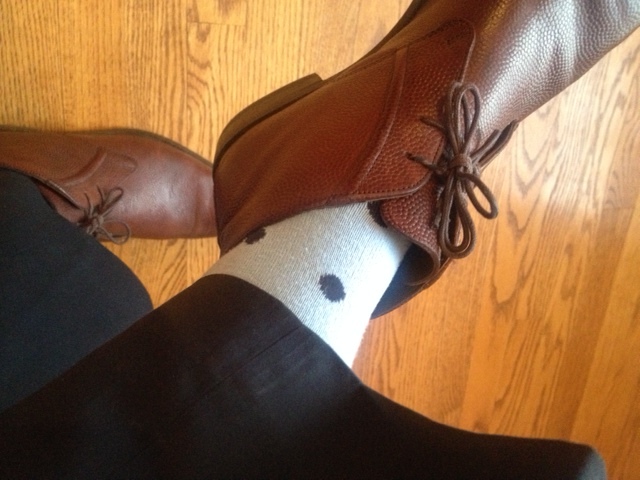 Light blue socks with navy polka dots are by Club Room. 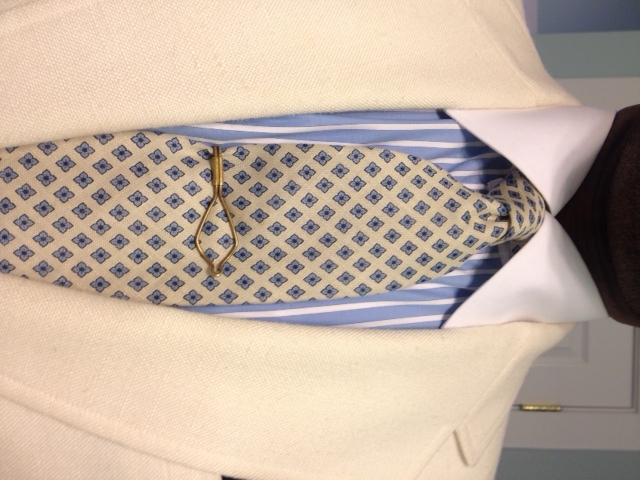 Silk necktie with floral print by Brooks Brothers is a thrifting find. 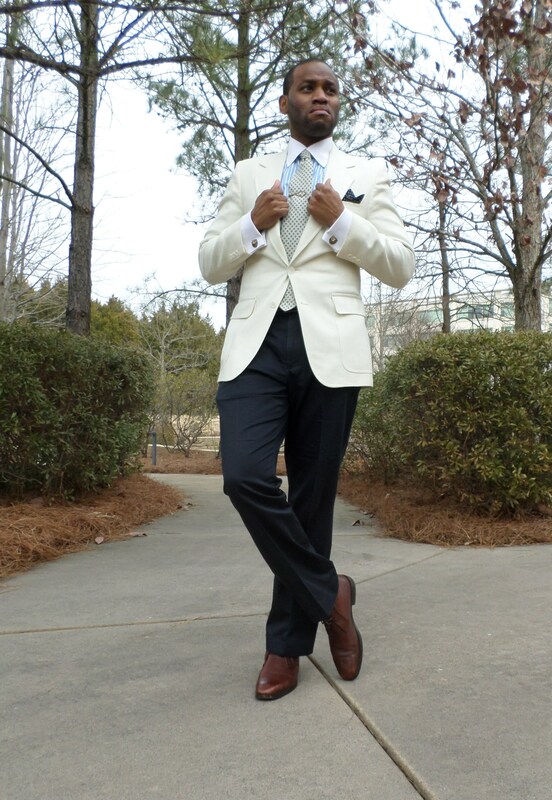 Brass vintage tie bar is from Hong Kong Vintage Clothing in Charlotte, NC. 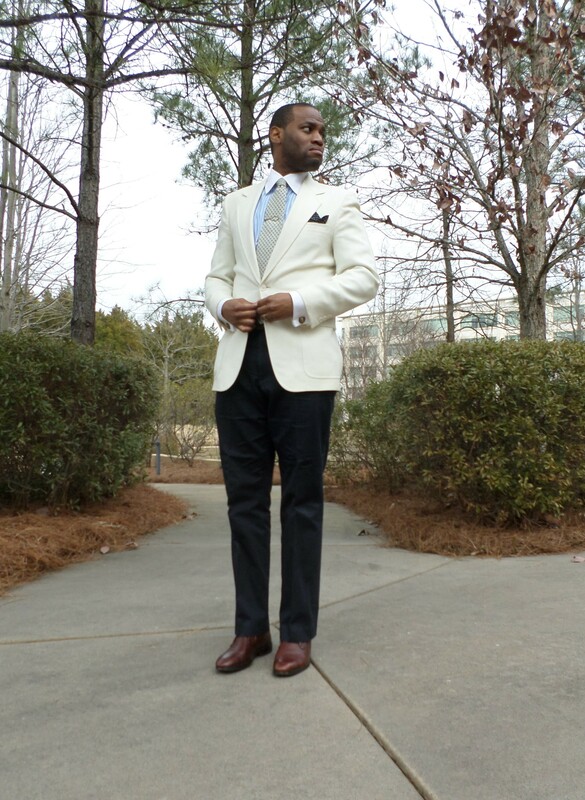 Blue stripe dress shirt with white contrast collar is by Ike Behar is a thrifting find. 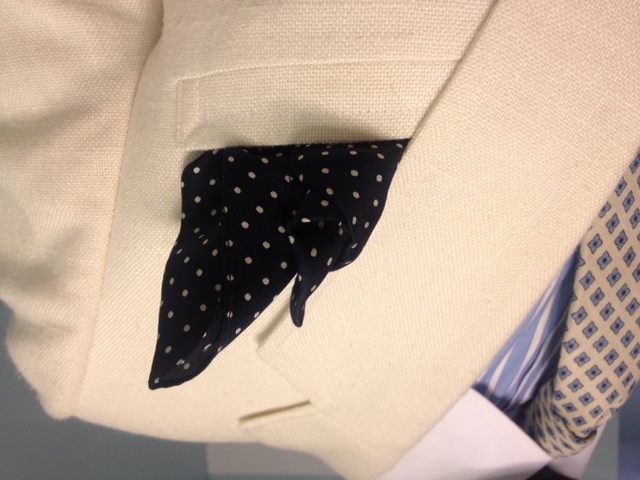 Navy polka dot silk pocket square is by Banana Republic. 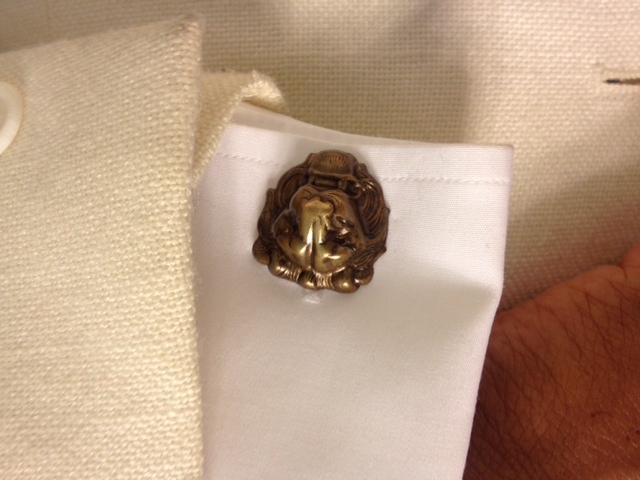 Brass lionhead cufflinks are a purchase from Etsy.com. 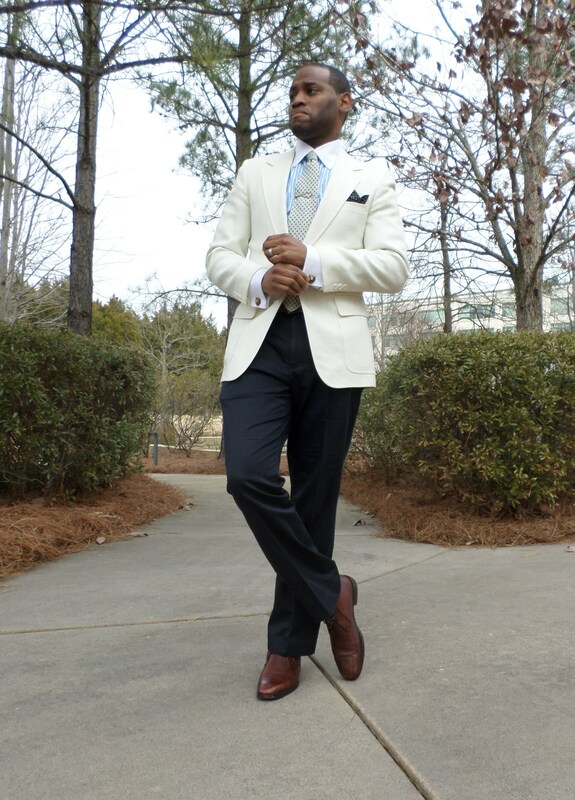 Ecru blazer features notch lapels, center vent, flap pockets, two button closure, and full interior lining. 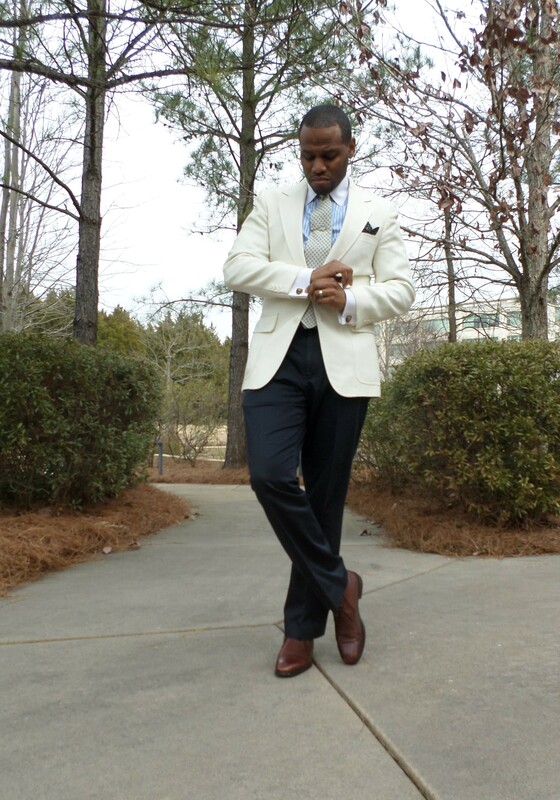 Navy flat front trousers are by Perry Ellis.